Pensacola Beach and Perdido Key both are home to the longest stretch of federally protected seashore in the United States. You&apos;ll find endless opportunities for solitude and relaxation and miles of unobstructed views and access to the Gulf. A short hike, bike ride, or kayak trip always ensures a swath of beach, sans humans. Even without people, you are never truly alone. An abundant ecosystem of marine and terrestrial wildlife surrounds you. Osprey and great blue herons are often overhead, their huge nests visible in the treetops. Dolphins, sea turtles and rays are commonly spotted swimming near the shore in the crystal-clear waters. And at varying seasons throughout the year, the Seashore provides a nesting and hatching ground for shorebirds - like the beautiful black skimmers and tiny least terns – and sea turtles, particularly loggerheads. The Seashore offers a wide range of recreational activities including snorkeling, kayaking, hiking, boating, fishing, wildlife viewing, biking, camping, fort tours, ranger-led programs and more. Launch your kayak from one of several waterside parking lots and make your own itinerary. Watch for the gopher tortoise, Atlantic bottlenose dolphin, and more than 300 bird species. Snorkel to see sand dollars, starfish, crabs and fish. 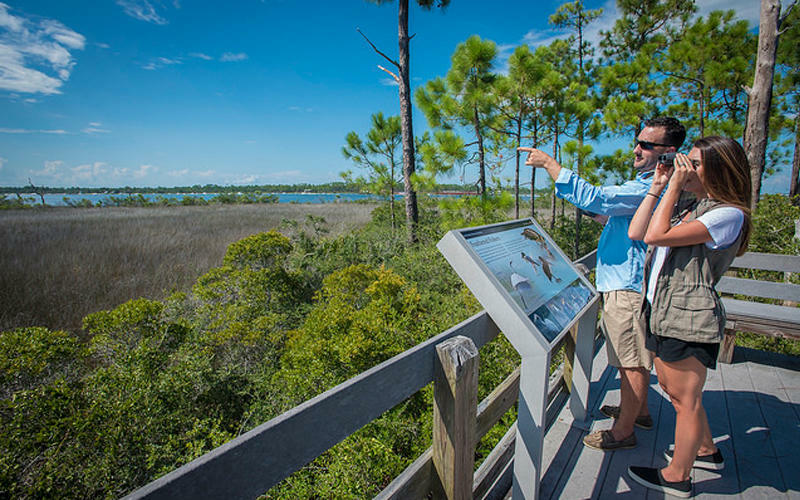 Join a ranger-led nature tour to explore life in the brackish marshes or hidden in the shade of tall pines and gnarled live oaks. Get a unique look into Pensacola&apos;s military significance going back before the American Revolution. 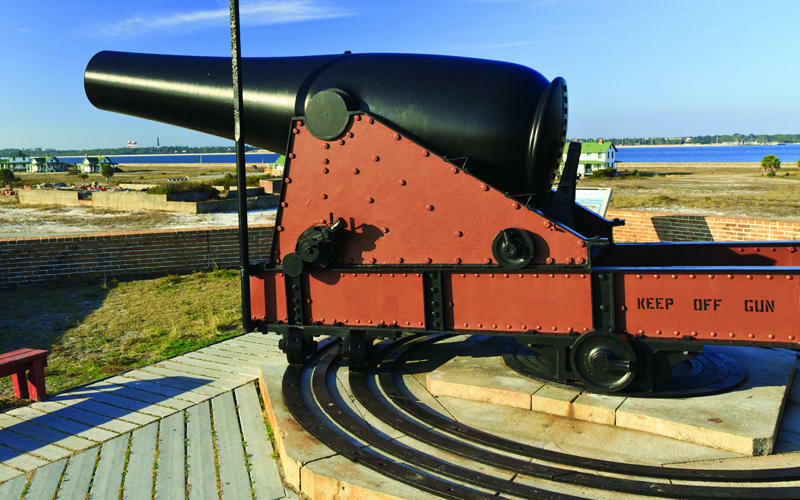 Explore three forts designed to fortify Pensacola Harbor – Fort Pickens, Fort Barrancas and Fort McRee —all are within the Gulf Islands National Seashore and administered by the National Park Service. If you&apos;ve dreamed of a day exploring a deserted island, the Gulf Island National Seashore is your ideal destination. 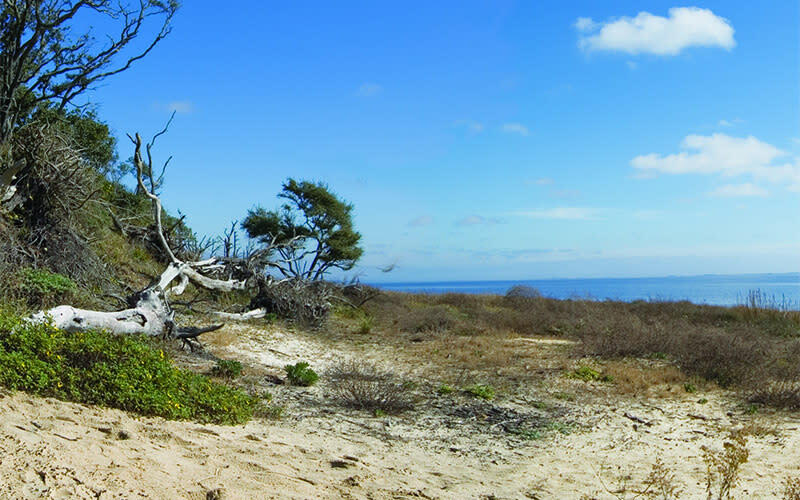 These three parks are part of Gulf Islands National Seashore.